Vail Mountain officials recently announced that Colorado rockers Big Head Todd and The Monsters will complete the entertainment lineup for Vail Snow Daze 2013, the resort’s annual festival to kick off the winter season. Vail Snow Daze takes place Dec. 9-15. 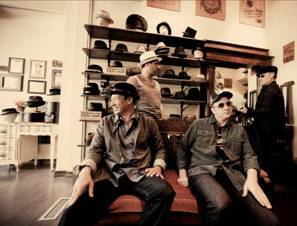 Formed in Colorado in 1986, Big Head Todd and The Monsters have played together for nearly three decades, first gaining popularity in the mountain states before catapulting into the national spotlight. Together the band has sold more than three million albums and headlined packed venues worldwide, including sold-out shows at Colorado’s historic Red Rocks Amphitheatre. Combining a mix of musical genres, with original songwriting and scorching guitar licks, Big Head Todd’s success is no mystery and continues with the their eleventh studio album, Black Beehive, set for release in 2014. For more information on Vail Snow Daze, including the full schedule of events, visit www.vail.com/snowdaze. For more information about Vail Mountain visit www.vail.com or call (970) SKI-VAIL (754-8245).